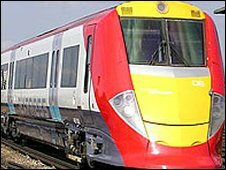 The Gatwick Express fast service from London Victoria has been extended to Brighton, with six services a day operating in the morning and evening. The service, which only runs on weekdays, will also now stop at Haywards Heath, Wivelsfield, Burgess Hill, Hassocks and Preston Park. It means an increase of seats into London of almost 11% during peak time. Southern railways has added a new style of train to its fleet to provide the extension service. The interiors of the reconditioned Class 442 trains have been redesigned with both commuters and airport passengers in mind, offering generous luggage space, together with comfortable seating and dedicated wheelchair spaces. To begin with, two of the six extended services will have the reconditioned trains, and, shortly after, the remaining three reconditioned trains will be phased in as they become available. Southern's managing director, Chris Burchell, said: "This timetable change is the most comprehensive we've had to make over the past seven years of this franchise. "It will deliver more seats for our customers and where they are needed most - into and out of London in the busy peak periods. "I am sure our customers will appreciate all the planning and hard work that has gone into delivering more capacity across the network." The changes are the culmination of years of planning by the Department for Transport and the now defunct Strategic Rail Authority, to work out how to solve the problem of overcrowding on Sussex commuter trains.